Are you looking for Pest Control? 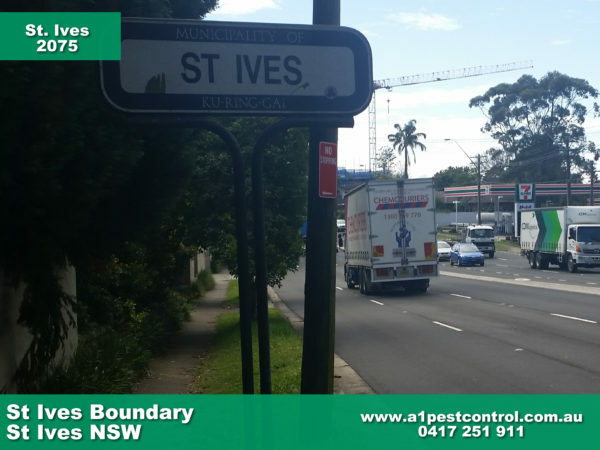 St Ives in the Upper North Shore area of Sydney has been our service area for over 35 years. We are a family owned firm and have survived in business by giving all of our customers what they are looking for, a reliable, trustworthy service at a reasonable price. Termites, ticks and spiders are the main pests in the this leafy suburb, mainly because of the leafs! Homes near the bushy areas tend to attract these pests, as vermin love to be sheltered and hide from natural enemies. So it’s a great idea to get regular pest control and competent termite inspections in place. So why not give us a call today to discuss further options? Picture of the St Ives Boundary marker. 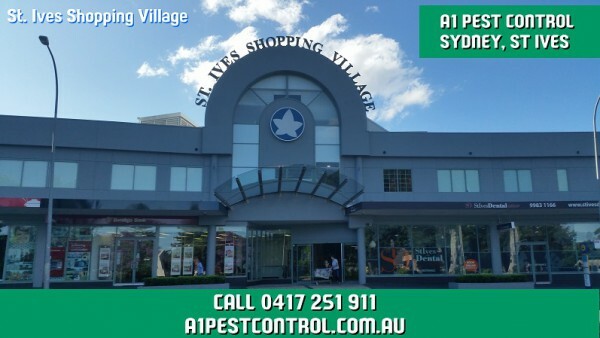 A1 Pest Control has serviced the Northern Beaches & St Ives in particular for years. Focusing on the safe control of Ticks and Termites. St Ives is located towards the upper north shore of Sydney in NSW. St Ive was first visited by Govenor Arthur Phillip in 1788, they first made camp at what is now known as Hunter Ave. At some stage, St Ives produces a small scale timber industry, one can still see examples from this from the 30m high trees. The St Ives post office opened in 1885, the first school followed shortly in 1889. St Ives, at first, were slow to develop due to its distance from the city but after world war 2 it has been on a steady incline of residents. Ticks related to meat allergies? More and more people in the northern beaches areas become aware that they’re experiencing allergic reactions to red meat. A severe local reaction to a tick is a risk factor for developing mammalian meat allergy (MMA). MMA is where a tick’s saliva changes one’s immune system to react to the meat of mammals – beef, pork and lamb. At Mona Vale hospital if someone walks in with a severe allergic reaction, the first question doctors ask is did you have any red meat for dinner and then have you been bitten by a tick? It is estimated that there are well over 500 cases in the Upper North Shore area alone. This number is so high that it is up there with the most common food allergy, peanut allergy. The difference between MMA and other food allergies is that MMA has a delayed reaction of two and ten hours. Most reactions happen between 4-6 hours after ingestion. Australia have a problem with Ticks on the whole eastern seaboard of Australia with about 50% of people at risk of getting MMA. The question is why is this allergy growing at such a rat and why is Sydney’s North Shore and Northern Beaches such hot spots? Some believe it to be the proliferation of possums and bandicoots,. When a tick feeds on a small mammal, it picks us a small amount of alpha-gal from its blood, which is transmitted from the tick’s gut into the human when the tick is pulled off (see how to do this correctly below). Prevention is the best cure! It is best to get a tick treatment around your house before Tick season (August to March).